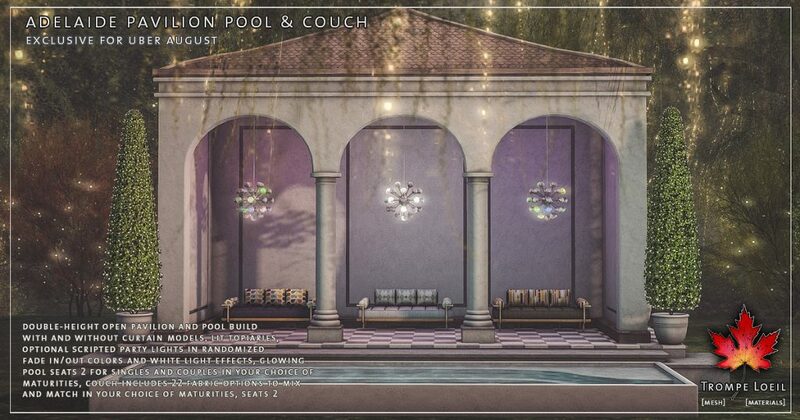 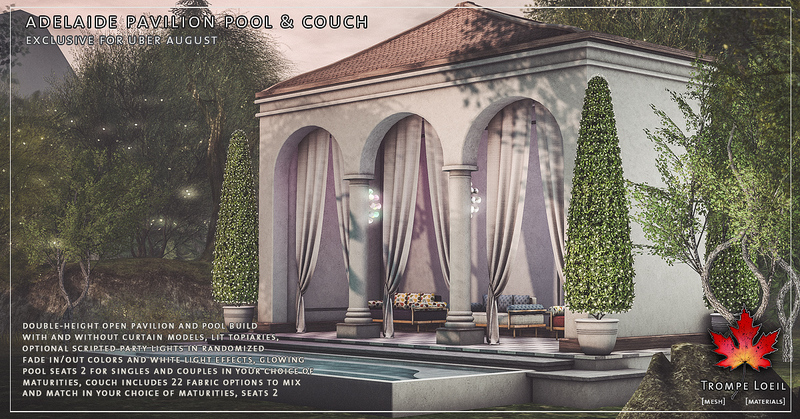 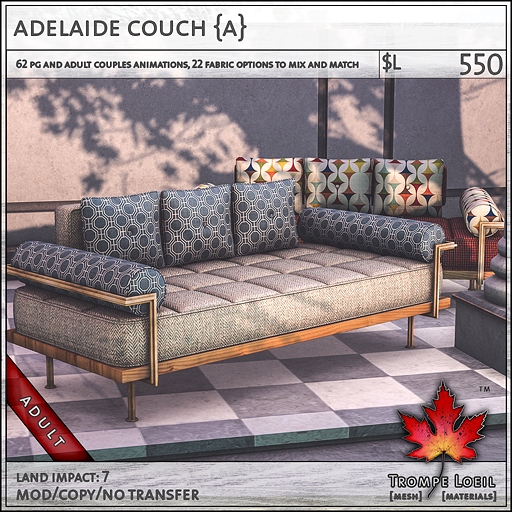 Those last August nights are full of color and fun – our new Adelaide Pavilion Pool and matching midcentury mod Adelaide Couch for Uber August create a focal point for trendsetters and stargazers until the morning light! 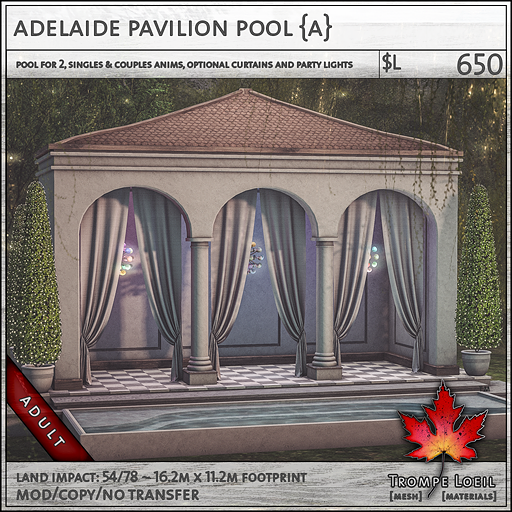 The Adelaide Pavilion Pool is a revival-style open air pavilion with checkerboard marble floor and attached shallow splash pool animated for singles and couples in your choice of maturities. Triple height ceilings and our included Adelaide Party Lights with steady on/off, fade in/out and blink on/off bulbs in white or multicolor options with soft vibrant hardware lighting effects turn your retreat into an intimate outdoor club perfect for dancing! 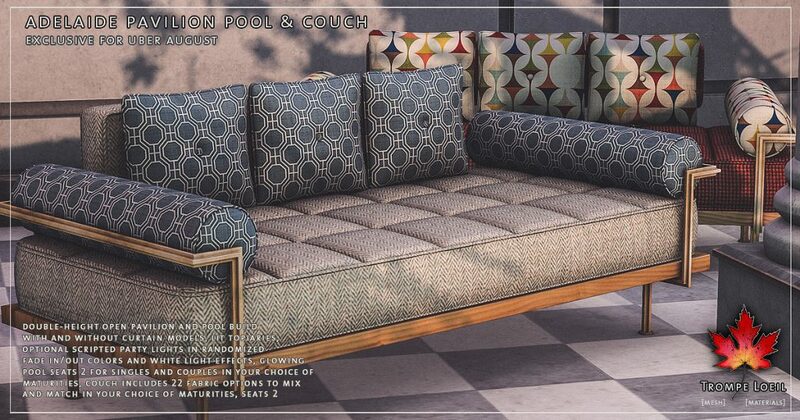 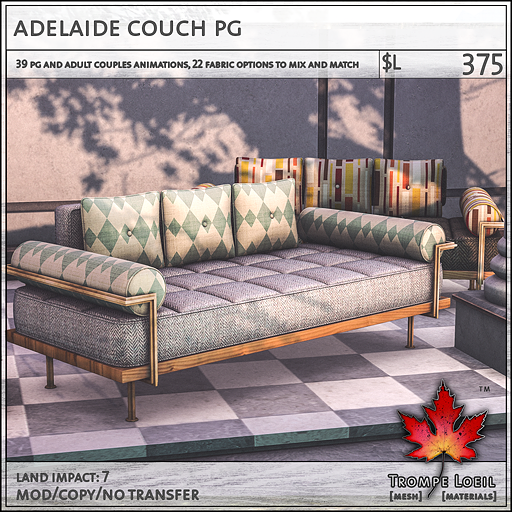 Plus, the Adelaide Couch is oversized for entertaining, with midcentury modern style and your choice of maturities for singles and couples, with 22 fabric patterns to mix and match. Only at Uber’s August round!